OK, so you’ve decided to get in shape for your New Year’s resolution. But where do you begin? Our private fitness center is always available for our residents’ needs, but we know staying in the same building can give you a little cabin fever this time of year. Luckily here in South Orange, we have tons of gym options which will make losing a few pounds a breeze. 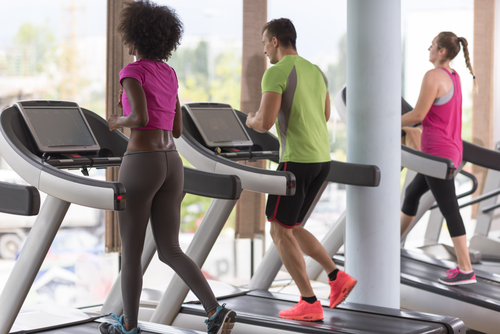 If you’re ready to commit to fitness in 2019, then check out these local gyms that are near our Third and Valley apartments. These gyms will make working out more fun than you ever expected it to be! Blink Fitness South Orange, located at 451 Valley St, South Orange which is an eight minute walk from your Third and Valley apartment, puts ‘mood over muscle’ and is known for being committed to a feel-good experience at their gym. Here, you will always be greeted with enthusiasm and treated with respect by all their staff members, and all their gyms include plenty of brightly-lit, open spaces so you have plenty of room to move and breathe while you work out. D&I FITNESS, located at 9 S Orange Ave, South Orange which is an eight minute walk from your Third and Valley apartment, is a membership-based gym with cardio machines, TRX suspension gear, a boxing ring and more. The D&I approach takes the personal training concept and applies it to a small group format. All programs are unique so they are never boring and never, ever repetitive. Plus, their boutique training facility and studio creates a positive environment where there are no attitudes and no judgements.